Unique containers & eye-catching graphics. Personal care and cosmetic products are often judged by their interesting shapes, bright colors and identifiable branding. You can influence your customer with a great looking label that sets you apart from the competition. Weber can print your high-quality personal care labels on a wide variety of materials like clear film or textured materials so your products can shine through. We can also help you refresh your design and bring new life to your brand through new shapes, colors and styles. Weber can help you decide on the right materials for your sunscreen products that will look great and yet be durable enough to take harsh treatment at the beach, ballpark or where ever. Your labels can be die cut to follow the shape of your container. And you can use clear film to create a no-label look. Whether organic lotions, lip balms or hand sanitizers, your health & beauty products can blossom with colorful, high-quality labels. And your family of products can share a design but remain unique for easy recognition on the store shelf. Weber can print your high-quality health and beauty labels on a wide variety of materials like clear film or foil materialsin unique shapes, too. We can also help you refresh your design and bring new life to your brand through new shapes, colors and styles. 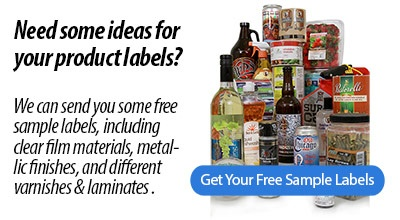 • Clear film labels can be printed using flexo or digital presses allowing your product to be seen. • Metallic hot foil accents or metalized label material give you a unique, one-of-a-kind up-scale brand appearance. • Digital printing allows short label runs at economical prices. • To avoid color matching a label to a container, chose a clear film against your opaque bottle. • Matte finish varnishes give a formal, artisan look to products. • Extended text, multi-ply label construction allows additional copy to be added to your label for tips, instructions and other product information.